3D printing is an additive manufacturing process that allows highly complex three dimensional shapes, including those that have internal cavities, to be produced by depositing thin layers of material via a nozzle and then hardening that material via exposure to oxygen, UV radiation, or other environmental factors. This process has been rapidly advancing in recent years due to advances in 3D computer modeling, high-precision motion control, and material science. Printing inert human organs from high-precision CT scan-derived computer models using plastics is a technology that has been in use for a number of years, primarily for prosthetics and training aids for medical students. The holy grail of 3D printing for medical purposes, however, has always been the printing of actual functioning organs. The reason for that is the extreme gap between supply and demand that exists in the transplant organ marketplace, which drives the horrible crimes of human organ trafficking and harvesting. Additionally, there is the need to aggressively and permanently suppress the immune system of patients who receive transplants to ensure that the foreign tissue of their newly transplanted organs is not rejected. The printing of human organs from tissue that belongs to the patient for whom the organ is being manufactured would eliminate this problem and negate the need to harvest organs from donors. Needless to say, an incredible number of technological challenges must be overcome in order to attain this goal, not the least of which is the creation of “ink” made up from living organic tissue. This “ink”, like all 3D-printing materials, must be amenable to deposition via a nozzle and to further processing to “set” it in place. Researchers from Tel-Aviv university biology lab headed by Professor Tal Dvir developed such an “ink” using fat cells from a living patient by converting them to stem cells and finally giving them characteristics of heart muscle cells that can maintain a beat. 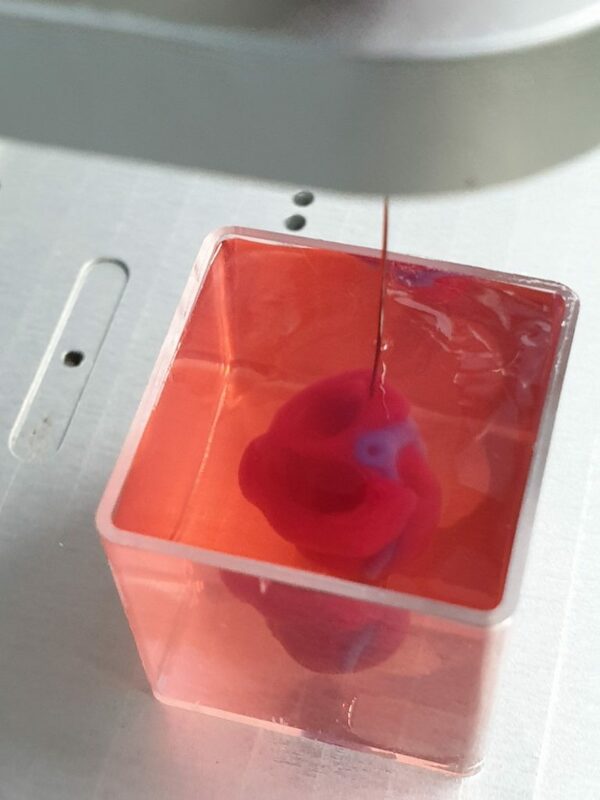 These cells were then used in a 3D printer to print a human heart based on a detailed 3D model derived from the CT and MRI scans of the same patient. Once perfected, this technology can be used to 3D print organs that are the exact replica of the patient’s diseased organ and are made from their own tissue, eliminating the risk of rejection and the need for immuno-repressing medications.